I hear a lot of complaining about seminary education. But it's worth noting that the complaints come mostly from a particular place. I also hear a lot of questions -- from the same place -- about what creative solution will solve the financial and other problems the church faces around theological education. I've got a radical solution, but I think it's worth reflecting more generally for a bit first. I get an average of 800 - 1000 emails per day Monday - Saturday (so much is from clergy that Sunday the volume goes down considerably). I've heard from hundreds, if not thousands of clergy in countries in the Two-Thirds World who were not able to go to a residential seminary and who would give anything to be able to go, even if it required them to be away from their families. Their families would support their going, even though the absence of the person who might be the strongest male in house makes them more vulnerable to crime and makes them work much harder in their daily lives. The only nations in which I hear a significant number of complaints about seminary education as unnecessary and not worth funding are from the richest nations in the world, and most especially the U.S. The only nation in which I have heard anyone suggest that experience in commerce teaches anything that seminaries ought to teach is the U.S. In much of the world (I would suspect most of it), Christians see the opportunity to engage in intensive theological education as a great honor and a wonderful opportunity. These Christians see pouring over the scriptures and reflecting on their meaning in community all day and into the night as an exciting and immeasurably rewarding experience, and their communities are willing to do serious belt-tightening so they can have a pastor who's done that every day and not just Sunday (the whole community engaging in all-day worship and bible study on Sunday isn't unusual in a lot of places). In the U.S., from the playground to presidential campaigns, there's a lot of suspicion and sometimes persecution of achievement in education. In the Episcopal Church, I hear that expressed often as suspicion of the need for any full-time theological education, the need for serious funding for it, or both. And those who still want some forms of community formation for clergy-to-be involving minds and words, if not the physical presence of, people beyond local are hoping that someone (usually someone else) will come up with a distance learning or other program that will get it all done cheaply, without real sacrifice. The bad news is that distance education is not, on the whole, cheaper for institutions to provide or students to get. The good news is that if: a) we did our job in theological education for ALL such that we didn't rely on seminary to teach what the seminarian could have been learning from her parents from kindergarten on, and every Episcopalian had personally experienced the value of theological education; and b) we were willing as a whole church to tighten our belts by a minute fraction of what my friends who live on annual budgets of under $1000 do to get formal theological education for their clergy, I think our hard-working theological educators working with people from kindergarten through Ph.D. students would get more than enough resources to do their jobs via distance learning and/or residential seminary. But if Directors of Christian Education/Formation are paid less, hired more reluctantly, and fired soonest when the budget contracts, and if thought is widespread that running a bank is better preparation for ordained ministry than intensive and extended study of scripture and tradition in community, then I think it's a given that seminaries' resources will dwindle. In that case, not only will we see fewer clergy getting seminary training, but we'll also see shrink even further the proportion of Episcopalians studying theology enough to teach it and to work with highly trained theologians from elsewhere in the Anglican Communion. The bottom line? Maybe seminaries are no longer the best way to provide theological education for leadership. But if seminaries are no longer the solution, whatever else we do is still going to require that the whole church give sacrificially. Why? 1) Time is money. If we want people to have time to study and time to teach and mentor, they need hours in which they're not expected to be eating, sleeping, worshipping, engaging in private and/or family prayer, or earning money. 2) Learning takes time. The kind of learning we currently depend on seminaries to provide takes even more time than merely factual learning. We need our clergy not only to know the words of scripture and a bunch of factoids about church history and what various theologians have said, but also serious experience wrestling with how to interpret our scriptures and tradition, ways to tackle ethical problems and where different approaches' blind spots tend to be, for example; we also need our clergy to have some experience in providing pastoral care and the chance to process with solid mentors what they learn from those experiences. So we have to come up with enough money to give both students and mentors the time to do this. We could distribute the process of theological learning over more time (say, starting from preschool) and over more mentors (say, making sure that those who ask for their children to be Baptized are willing to commit time to their formation and that the parents and godparents know this will require spending time on their own formation too), but I would say the net time and effort needed isn't less, and the whole church doing this would be a MASSIVE cultural shift, if statistics around this are anywhere near right. 3) Books and journals -- including electronic ones -- cost money. When I lived in Frederick, Maryland, the local libraries didn't have much in the way of theological works, and what they had was woefully out of date (and that can be a BIG problem, for reasons I can blog about separately if people want explanation of it). I was lucky enough to be within an hour's drive of two seminaries that, because I was employed in a parish, were willing to give me limited borrowing privileges. That meant at least two hours of driving within library hours every time I needed a book. If I hadn't been employed by a parish, though -- and volunteering didn't count -- I wouldn't have had access to those libraries, let alone a weekday when I could drive there. A good biblical commentary generally costs about $30. Reference books generally cost $100 or more per volume. Something like the Anchor Bible Dictionary will set you back at least $500. If I didn't have access to a library with these kinds of resources, writing a single exegesis paper would set me back about $100 in commentaries alone. If I wrote three papers per biblical studies class and took four classes (which is the minimum accredited seminaries require), that would be about $1700 in books alone for biblical studies alone. Add in the cost of books for church history, theology, and so on, and subtract access to a local library and textbooks on reserve, and you get thousands of dollars students have to find. Furthermore, solid online resources that are usually "free" to students are often "free" to them only because their seminary or university pays a big annual fee to subscribe. Take the seminary out of the equation and your diocese (or parish, or EFM group, or someone else) gets to look for that money. 4) You need a lot of time and a lot of books and journals to get to and stay at a point at which you can teach things such as biblical studies and theology to clergy-to-be and DCFs-to-be, for example, who have already learned well what every parish should be teaching every member. Not only does it take years of study (and rooms full of books) before you're ready to teach your first class; you also have to have time and books and conversation with other well-informed people to be able to stay well-informed. Again, let me know in the comments if you think I should explain why this is important. And in TEC we provide even less support for people who want to pursue a Ph.D. or Th.D. than we do for M.Div. students on the ordination track. 5) Who will teach those Ph.D. and Th.D. students? That's something you really can't do unless you've got 40 hours per week (likely you'll need more) to keep up with the field, to teach classes, and to provide good feedback on students' work. If we eliminated seminary education, we'd probably end up just relocating this work in an incredibly wasteful shuffle of books, people, and buildings (these people can't sleep, teach, and keep their books on park benches). And if you think that non-TEC seminaries will do this for us: a) many of them are no better off financially than TEC seminaries; and b) if you think there's anything distinctive about Anglican approaches to scripture, theology, liturgy, or anything else, we'll be stuck hoping that our top theologians manage to stumble onto it mostly on their own. Do I think that both seminaries and the church need to get creative and make changes to provide theological education for all and sufficient training for our leaders? Definitely! But do I think that we can get our leadership the theological education they need, let alone get the whole church the theological education they deserve, without substantial expenditures of time and money? Nope. Nothing -- not the Internet, not a program or curriculum, and definitely not shouting at the seminaries -- short of serious gifts of time and treasure as well as talent will do the job. That's my radical solution: sacrificial giving. It might not sound all that creative, but I don't really hear anyone else suggesting it; a lot of the public wailing about the doom of seminaries seems to come from a theology of scarcity rather than abundance. And then the generous resources we have as the church can go to theological education through a variety of means. Maybe those means won't include traditional seminaries, or they'll involve seminaries less often. But all of those means will take ongoing and substantial gifts of time, talent, and treasure from across the church. And offering those will in itself be an important means of Christian formation for the whole church. I'm in the hotel restaurant in Omaha for a quick brunch before I get on a plane to come home from the Executive Council meeting, so I thought I'd dash off some quick notes for the Episco-curious. The most important thing by far that happened at the meeting, I think, is the pledge Council made unanimously on behalf of The Episcopal Church to give AT LEAST an ADDITIONAL $10 million for the rebuilding of our sisters' and brothers' communities in Haiti. These funds are extrabudgetary -- i.e., on top of any funds in the church's 2010 budget for Haiti -- and are on top of the excellent and extensive work Episcopal Relief and Development is doing there. $10 million is essentially a tithe of the church's entire budget. And, by the way, as the resolution inspired by Mark's suggestion was first being proposed by Ian Douglas (soon to be the Bishop of Connecticut), it was our Presiding Bishop who suggested a making the resolution pledge AT LEAST $10 million rather than just saying $10 million. Bishop Katharine, that was truly inspired. Folks, I know times are tough here in the continental U.S. for a lot of people. I'm unemployed myself. But you know, the wages of my wonderful and supportive high-school-teacher spouse still put us as a household in the top 1% of wage earners worldwide, according to the Global Rich List. We have a roof over our heads, clean water to drink, and something to eat other than boiled dirt, which is what a lot of people in Haiti are eating now. We're not in any danger of getting cholera. In my view, this situation is essentially a medical emergency in the Body of Christ and the family of all humanity. When I had a gallstone a while back, we quite rightly went to the hospital first and figured out how to pay for it later. Karen (my partner) has suggested that we should do the same with donating to help rebuild Haiti, and she's absolutely right. Please consider the same -- for yourself, for your worshipping community, for your company or club, or pub trivia crowd, or wherever you are and gather. Church Center employment: I am and Council as a whole is deeply concerned about the cleaning staff recently laid off. There are nuances to the story that are important, and that were missed or distorted, in the New York Post's story about it. The employees let go were not employees of the church, but of a company the church contracted with for cleaning services -- the Church Center didn't fire a bunch of people, but switched cleaning companies after a process that, Chief Operating Officer Linda Watt reported to us, was open to non-union companies as a way of being able to solicit bids from more women- and minority-owned businesses. I appreciate that report, but it does not dispel my ongoing concern for workers' rights and human decency, nor does it ameliorate, in my opinion, that communication about the situation was (to say the least) very poorly handled. I expressed that view, as did others, and I and others will be continuing to monitor the situation and strive to support workers' rights. I want to thank those people who hold my and others' feet to the fire about this. Keep it up! This is important stuff. It's also not the only Church Center employment matter about which I and others are concerned. The layoffs of 2009 continue to hurt. There are faces of people that still, when I look around at meetings, I'm subconsciously expecting to see. There's expertise and passion missing from people who used to work for the Church Center and don't. And I still think about and pray for employees and their families. Remaining staff are doing a heroic job striving to cover the territory, and are working together in truly creative ways. But I'm not going to pretend that the reduced budget -- especially the personnel lost and reduced support for dioceses of Province IX in Central and South America -- isn't really painful. I and wiser heads than mine on Council are continuing to wrestle with figures, pray, and keep eyes, ears, and hearts open to count the human (and environmental) cost of our decisions even or especially when those decisions are difficult. Which makes me all the more pleasantly flummoxed that the proposal to come up with $10 million more for Haiti swept with such immediacy and awe to take the room when it was offered. That for me is evidence -- as if I needed still more evidence -- that God really does show up where people gather seeking to ride the wave of what God's mission, of what God is doing in the world. And with that, I think it's time to catch the shuttle to the airport. The soon-to-be Rt. Reverend (and therefore still the Not Quite Right Reverend) Ian Douglas. I'm only drinking iced tea, but I'll still raise the glass to you. Thank you. I'm glad you're going to be in the House of Bishops, much as I'll miss you at Council and in Boston. Our church's current practice of sequential ordination has the weight of tradition behind it, but I think the series on Episcopal Café has an excellent point in how odd some of our arguments for upholding sequential ordination are. "My time as a transitional deacon has vastly enriched my ministry as a layperson. If Confirmation did not require a period of preparation in which I served as an ordained deacon, I would never have had so many rich opportunities to engage in intentional servant ministry, which today help to remind me that my work as an accountant and volunteering in the soup kitchen are equally a call and set of opportunities to serve the 'least of these,' the poor and the marginalized." "My time as a transitional priest has vastly enriched my discipleship as a layperson. I will never forget those times at the altar when I was praying the epiklesis as a transitional priest during my fifth year of EFM, and I think of those every time I receive the elements as a layperson. My transitional priesthood continues to underscore for me that it is the entire congregation and not just its presider that truly makes the Eucharist the Lord's Meal, and I don't know how people managed to understand the priesthood of all believers before we instituted transitional priesthood as preparation for key lay ministries." "I rejoice daily for my time as a transitional bishop. It reminds me as a CEO that oversight is not for lording over others, but is a ministry of guarding an order of life for communities that nourishes the whole and that brings out the apostolic gifts of every member. 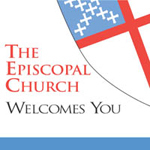 As it happens, both of my next-door neighbors are also Episcopalians who have served as transitional bishops, and they too value the experience in their very different contexts. Jolene, the high school algebra teacher, tells me that it helps her to see that her vocation as a teacher is fundamentally shepherding and drawing out leadership qualities. Sharon, the motorcycle mechanic, says it helps her to look at the neighborhood, the PTA, and the county, state, nation, and world as fields ripe for harvest, and underscores her authority as a layperson to exercise her gifts for oversight to get them all humming together like a well-tuned engine. And we agree that the practice of ordaining transitional bishops has strengthened the ministry of permanent bishops as well. We can't imagine how, under the old system, bishops managed to avoid temptation to see their ministry of episkope as a lifelong entitlement." The argument for direct ordination meets its biggest challenge, I think, on grounds of tradition, which are strong. In contrast, "it works for me" is prone to counter-examples of "it doesn't work for me," "this other way could work for me," and "if transitional ordination is your call, that's great, but it isn't mine." Low-cost tip #3 toward more and better theologians: stretch critical thinking skills for all ages in congregations. No one should go off to seminary without having done SOMETHING like reading the Gospel According to Mary Magdalene and the Gospel of Thomas in translation (a translation by someone other than Elaine Pagels), reading one Elaine Pagels popular book on Gnosticism, and then discussing in a supportive group whether Pagels' characterization of these documents is helpful and where it seems at least a bit off. That's just one example, which I picked because I've found that too few people in congregations feel empowered to examine the evidence, talk about it with other people, and come to a conclusion when they have a theological question. There are lots of less arcane-sounding examples: for example, take the oft-quoted statement that "Matthew is the 'most Jewish' of the gospels," read Matthew and, say, Luke, and talk about: a) what does it mean to be "more Jewish" or "less Jewish," b) how, if at all, does this statement help us to better understand Matthew and Luke, and c) is this really something that's helpful enough to be worth repeating? We should be helping one another do this kind of thinking as a whole church. If seminary is the first place a postulant is asked to engage critical thinking skills, s/he will not be able to make the most of seminary. And if a congregation doesn't do this, they're prone to being misled by every fad and every person willing to claim authority, however poorly informed s/he is. Start with the questions, "Do you think Jesus was ever angry?" and "What do you think might make Jesus angry?" Read one of the stories of Jesus overturning tables in the Temple. Ask whether Jesus was angry in this story and why. Ask the class questions such as: "Do you ever feel like this?" "What makes you feel like doing this?" "Is it OK to be angry?" "How do you want to react the next time you're really angry?" Voila! Critical thinking, bible study, and original theological reflection! So much better than trying to tell kids what they ought to think and then having them glue cotton balls on pictures of sheep. And this very exercise, perhaps with a few more long words, has been helpful in a lot of adult classes and retreats I've done. Some congregations do this, but I've found many that don't, or that do it only in programs such as EFM, which will only reach a tiny minority of the congregation. That's not healthy. Introducing people to these skills is not the job of seminaries; it's the job of every Christian community. And if every Christian did this kind of "read-think-share-think some more" work from, say, third grade on, the quality of seminary education would improve dramatically, as seminaries would be freed to spend those precious and limited hours of instruction on the things they're uniquely placed to do. Cost to your parish/diocese: $0. Cost to seminaries: $0. Have your parish and diocesan newsletters regularly run a brief profile of a living theologian and her/his current work. Make at least some of these about theologians currently doing or recently having finished their Ph.D. With their permission, include an email address or somesuch where people can, if they are so moved, send an encouraging word and/or a small PayPal donation or Amazon.com gift card. This would not only provide encouragement to current theologians, but would raise awareness that theology is a valued field in the church. Parishioners may as a result deepen their theological reading and conversation -- and some who are being called by God to serve the church as a vocational theologian will become aware for the first time that there IS such a thing as a vocational theologian! Cost to your seminary/diocese: $0. Cost to seminaries: $0. Low-cost tip #1 on forming better theologians: Make sure they have actually read the bible and are broadly familiar with it BEFORE they get to seminary. Have them do bible STUDY (not just lectio divina) as part of the process. Give the seminaries less remedial work to do. Cost to your diocese/parish: $0. Cost to seminaries: $0.